Hey everyone! So we made it! 2015 is almost over and the last blog post is upon us! 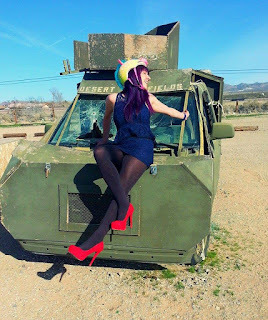 This is an awesome installment in my Slaydies Series of player spotlights: my Women of Airsoft battle sister Unicorn Leah. 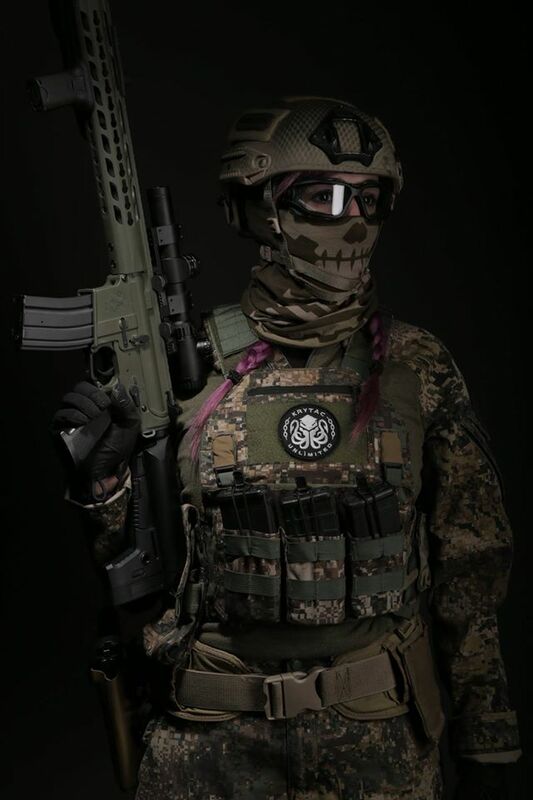 Leah is currently the most followed Slaydie in the world and is one of the very few female Airsoft content creators out there, she has a fab message about Gender Equality in Airsoft and is a true ambassador of the sport. Check her out! So Leah, how long have you been Airsofting? I’ve been actively playing for a little over two years, so to most Airsofters, I’m still a n00b. However, I’m lucky to be able to play 2-3 times per week. What got you into Airsoft and what do you love about the sport? I actually got introduced to Airsoft by working for an Airsoft distributor - Spartan Imports. I played in a few games so that I could be a more effective sales person. I ended up having so much fun that I began to play every weekend and started to push the company to be more active in the community. I love Airsoft because, to me, it’s basically like playing the Cowboys & Indians games that we used to play as kids. Except now, we have much cooler weapon systems. We have the ability to build all kinds of crazy load outs and, personally, I think Airsoft is even more fun as an adult. I’ve made a lot of great memories in Airsoft, and I don’t think it is necessarily because of the site, but more so because of the host or event organizer and the people in your squad. The most fun I’ve had has been at High Ground Indoor Arena in Spring, TX, Road to Rostov, held at Hill 559 and hosted by Milsim West, and the Direct Action Mission at American Milsim’s Faded Giant 4. Faded Giant is held in a decommissioned nuclear facility, so it makes for some pretty crazy and challenging gameplay. Weapons and Loadouts: What are you running? Eesh, this is a hard one. I really like changing up my weapon and loadout. I probably have 3 guns that I run the most consistently: my custom Unicorn Slayer, built by ThunderKiss NW, my Scorpion EVO, and my E&L AKS 74-U. I switch between crazy loudouts (I have a Storm Trooper and Princess Leia loadout), but I generally stick to chest rigs with a slick underneath. It’s more suitable for my body style and allows me to feel less clunky. I have about 5 different chest rigs, from LBX, Tactical Tailor, and Tasmanian Tiger and run all of them pretty consistently. 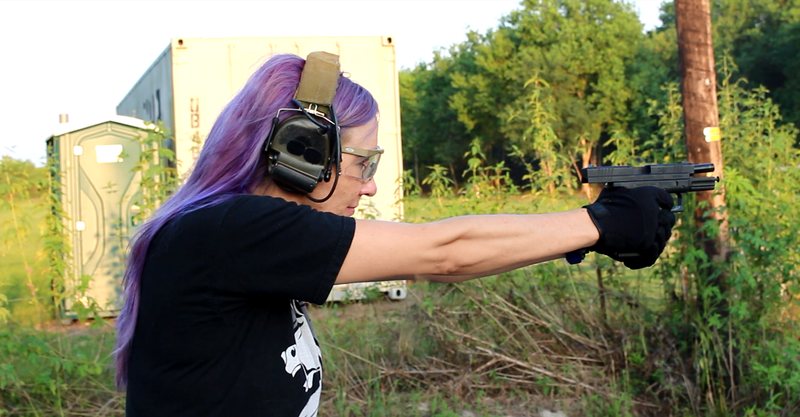 Being a women in Airsoft: Do you feel you are treated differently because of your gender? If so, how do you deal with this? This is a loaded question! For some reason, women in Airsoft tends to be a controversial topic. In a perfect world, we wouldn’t care about someone’s gender in reference to a hobby. 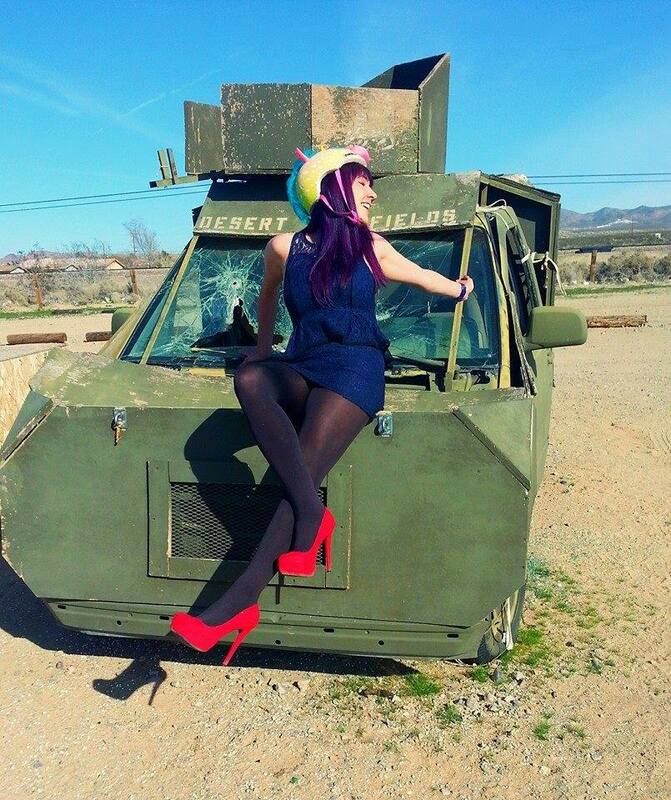 Do some women become popular simply because they are good-looking women who also play Airsoft? Absolutely. Do some men become popular simply because they play airsoft and have a certain look? You better believe it. The pendulum swings both ways. I know sponsored players of both sexes who might be less than valuable ambassadors of Airsoft who are simply sponsored because they have a certain look and are overly confident in themselves. On the field, we are all the same. A female can kill you just as easily as a male, her loadout and the color of her gun doesn’t make a difference. Women on the field is becoming more commonplace, and I think that the more women that we get on the field, the fewer issues we will have with preferential and/or negative treatment. I have definitely received my fair share of negativity just because I'm a female. It's been above and beyond the negativity doled out to my fiance, Jet DesertFox, who has about 6 times the following that I do. But, personally, I believe that actions speak louder than words. I hustle on and off the field to earn my keep, and I expect to be treated equally to my colleagues and friends. Females in this hobby need to be strong, independent, educated in the hobby, and supportive of one another. Social Media, tell us a little about your social media pages and where my readers can find you! I’ve had all of my social medias for a little over two years. I set them up when I was still working for Spartan Imports as a way to keep my eye on the Airsoft world - Airsoft is incredibly social media driven, and I wanted to be able to connect and understand it. Since I was working for a distributor, my accounts grew relatively quickly right out of the gate. I’ve been able to be independent for about a year and a half now, which I LOVE. It’s allowed me to further diversify and grow my channels, and they’ve seen a huge spike since my departure from the corporate world to the self-employed world. Currently, I have the largest worldwide social media reach as a female Airsofter. Your thoughts: Is there anything you would like to say to other players out there? Be yourself. Don’t worry about what other people think. This was something that was really hard for me to come to terms with over the years. It’s one thing to say it, but it’s an entirely different thing to live it. The whole basis for my YouTube channel and what I do is to encourage people to have fun in Airsoft, firearms, and life in general. Follow the rules, but don’t forget to have fun. That’s what it’s all about!